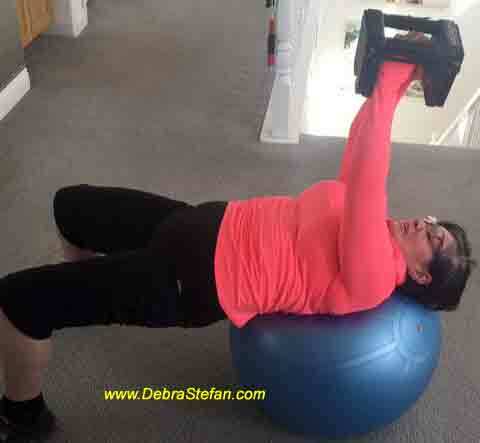 Senior Fitness Retreat Workouts at my place will always include stability ball exercises. That goes with client workouts for any age. Also included is the Bosu. Most people refer to it as the half ball. 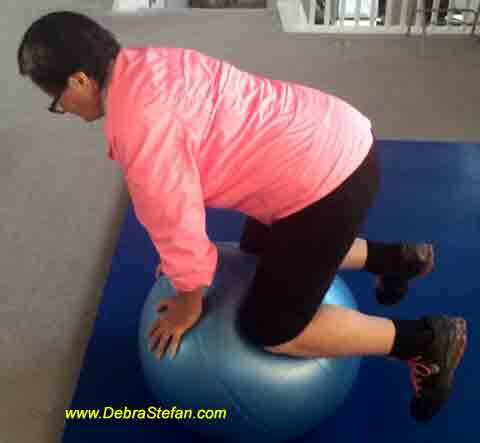 more on Bosu training… These ball progressions helps the ability to perform movements required for daily activities. Taken to more advanced levels enhances athleticism. Older adults and sedentary people are susceptible to injuries due to falling. Falls among seniors result from problems with gait, balance and neurological disabilities. Here is where brain fitness comes in. Sharpen the ability for your brain to react and correct. Do this by challenging the balance in safe environments. The simplest way it to position oneself in a doorway. Practice standing on a Bosu. You may need to hold the door frame for balance help. Lack of exercise, poor posture and diminished motor skills contribute to loss of balance. These can all improve in a short matter of time. A sluggish motor system results in slowed reaction times, but is easy to improve. Should you be walking on uneven terrain your brain will need to react to alert the body in time to avoid a fall. Practicing these corrective patterns will sharpen your ability to right yourself. Balance challenges are one way of increasing your metabolism. Jolts of adrenaline release each time the brain perceives a threat to balance. More stimulating that a cup of coffee, balance drills prepare you for activity in a matter of minutes. If your core stabilizing system is sluggish, you will not be able to react. Challenge the nervous system seated on a stability ball to improve your reaction time. A ball is round and moves quickly under your body. Train yourself to react to changes in your center of gravity while seated on the ball. As you become more comfortable on the ball, you can begin changing your position from seated to lying. Then progress to kneeling. Risk of injury will drop. Using a ball improves balance and agility. Steady recruitment of the core musculature does not occur with machine training. This goes for the Pilates reformer, also. Much hype about activating the core while lying down does not transfer to a vertical world.